This small firm was founded in 1970, combining the efforts of Michel Ruelle and Martin Pertois. 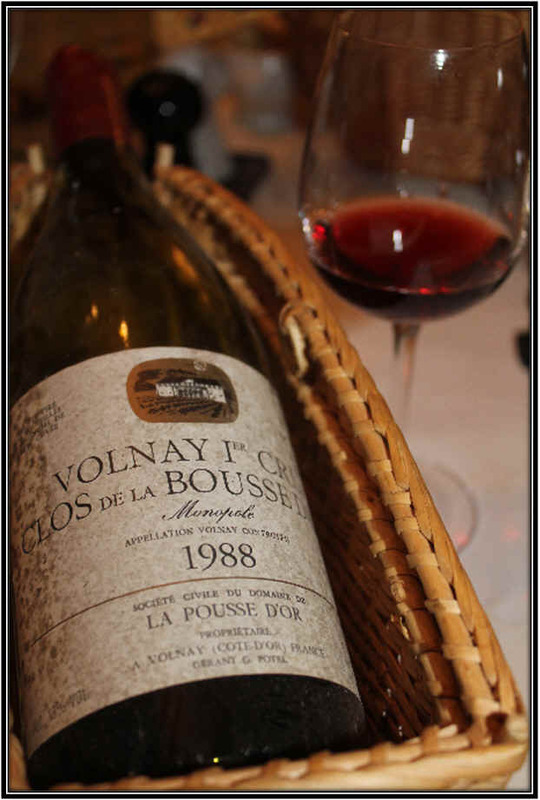 They have about 6 hectares of vines, three each in Moussy and Chouilly. 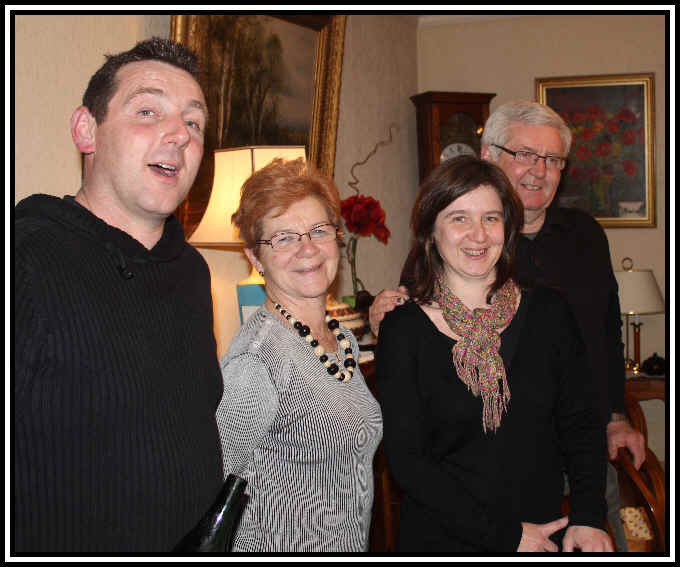 Both Michel and Martine are from wine-growing families. The total production amounts to about 40,000 to 50,000 bottles annually. This is probably a half a day's work on the bottling line at Mumm's or Moet, if that! Michel dragged us out into his vineyards during our January 2003 visit, hoping to show us temperatures about as below zero as the freezing solution they plunge their Champagne bottles into before disgorgement. As the calendar said it was January and the thermometer was but one degree below zero, we were there during a veritable January "heat wave" !!! Having visited a number of large Champagne houses, I can tell you they try to hide these "gyro pallets" and show you only the more labor intensive riddling racks. Michel Ruelle is very happy with the efficiencies afforded him by the gyro-pallet! Here's Michel, working up an appetite by rotating the hundreds of bottles in the gyro-pallet. 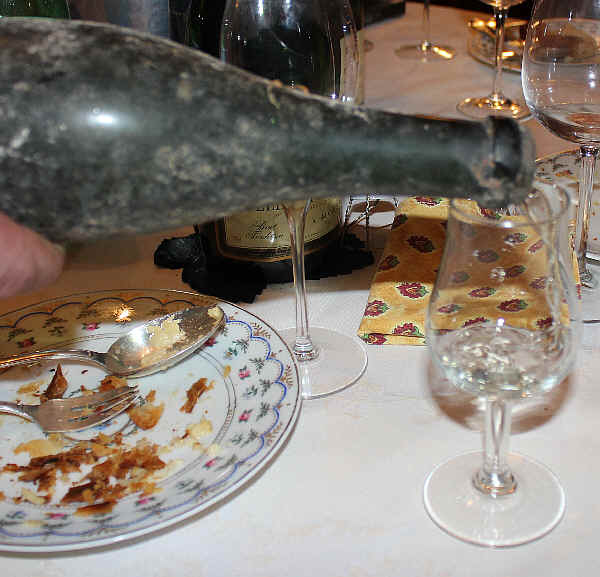 Michel holds up a bottle of bubbly to show the sediment that's collected, by gravity, and is resting against the "bidule," a plastic "thingamajig" that sets between the wine and the crown cap bottle closure. 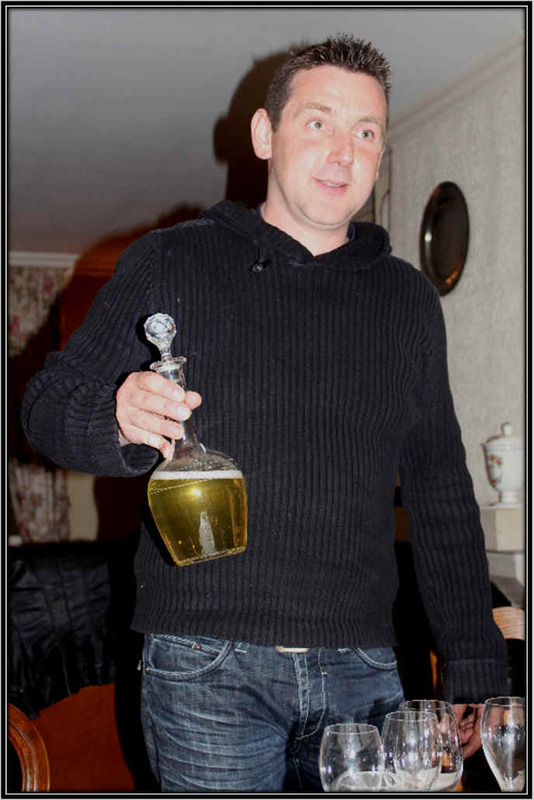 Michel has just whisked this out of the freezing bath, so the sediment is frozen solid. After showing us the nuts and bolts method of disgorging Champagne and adding its dosage, Michel took us outside to view him disgorging a bottle by the "methode ancien". Watching this spectacle are Alan Fischer (of the Famous French Alsatian Brewing "Fischer Family Fortune"), importer Charles Neal and Vagabond Wine Sales Rep, Eric Entrikin-san. 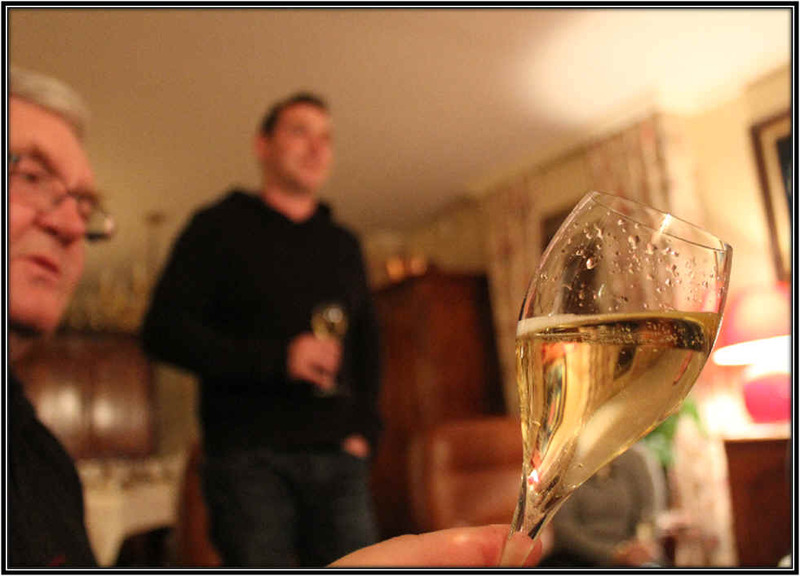 Now that the Champagne was ready to drink, we went inside and had a lovely home-cooked lunch! Martine Pertois preparing lunch Per-Huit! 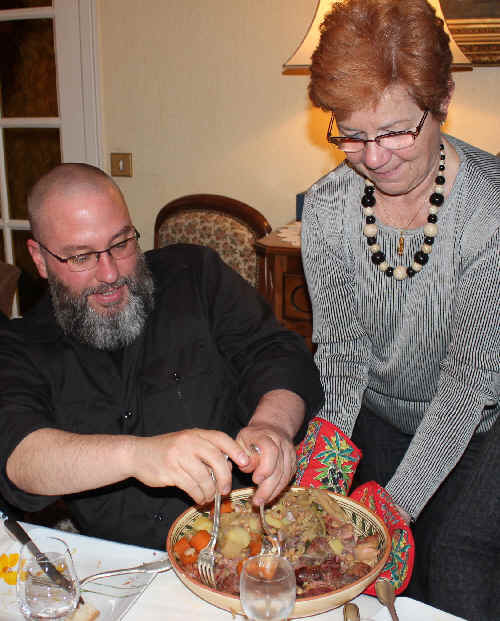 Here's Martine assembling a lovely salad with P�t� en croute for a starter. Coq au Champagne with some sort of Pommes "Gratin Dauphinois" preparation. 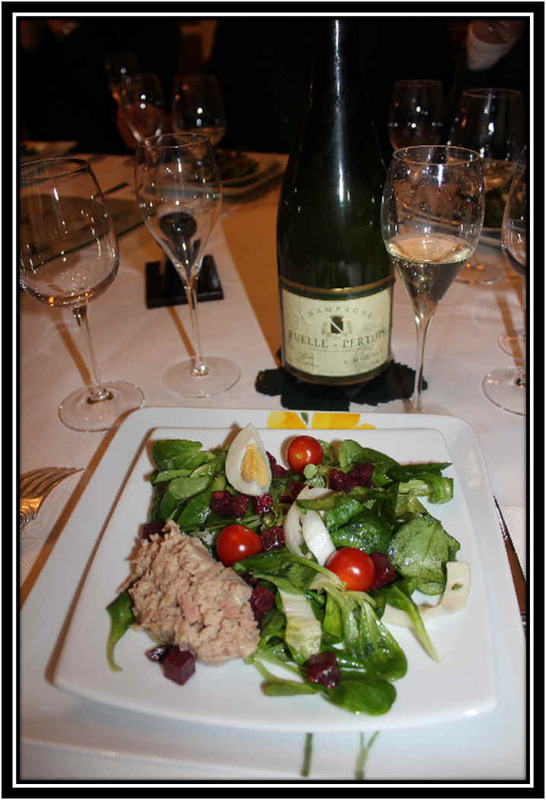 Michel brought out a Ros� Champagne which we enjoyed, followed by a bottle of 1995 Armand Rousseau Charmes Chambertin. Their Champagnes are great as an aperitif, but are flavorful enough to actually taste good with food. 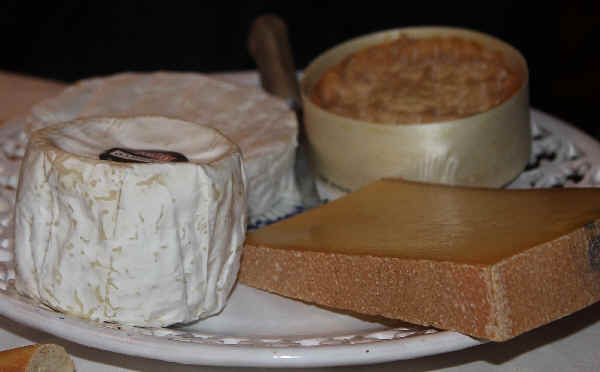 Many Champagnes and sparkling wines are fine for cocktail service, but often get "lost" when paired with flavorful foods. Ruelle-Pertois' wines can be served either as a cocktail wine or with something good on the dinner table. 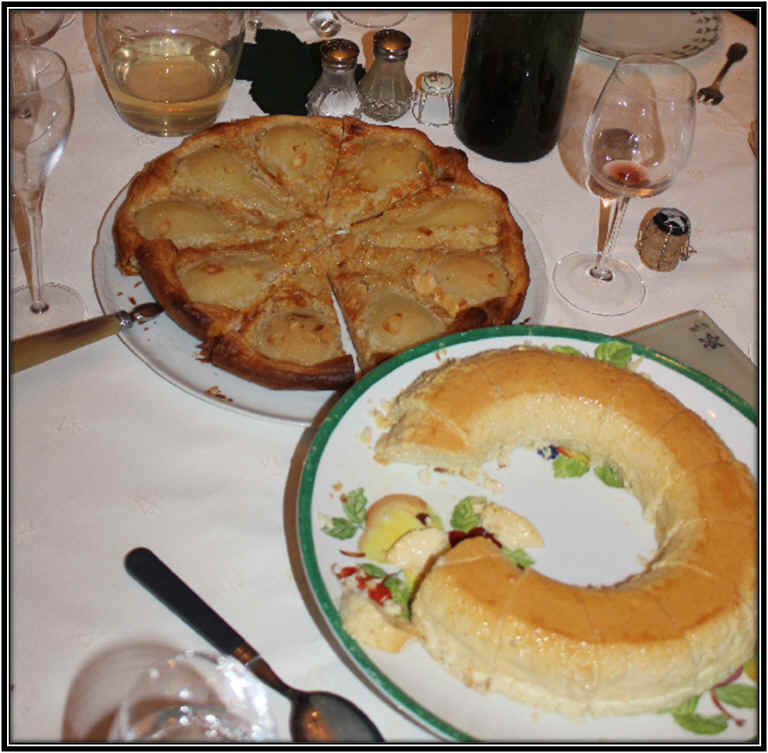 Martine served an apple tart for dessert. These guys will be making fine Champagnes in about 20 years. 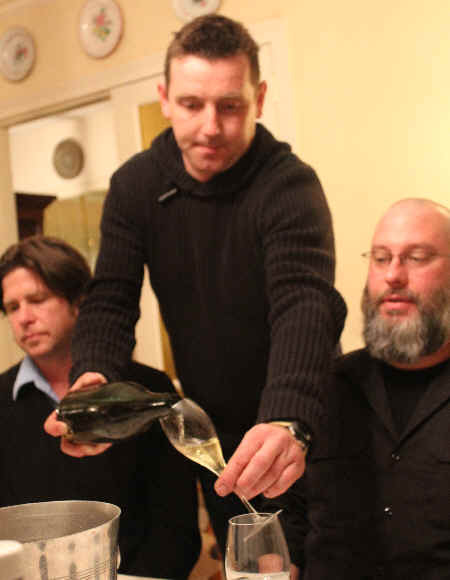 We find the idea of decanting Champagne to be curious...after all, it took so many years to incorporate the bubbles into the wine, why 'lose' them in a decanter? 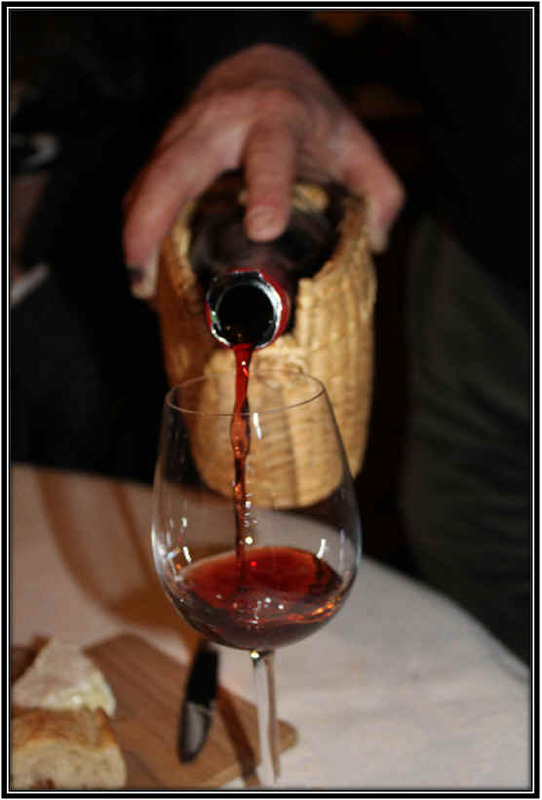 But a number of Champagne producers find their wine shows better, sometimes, when it's decanted and given a bit of air. A nice winter salad with some coarse p�t�. 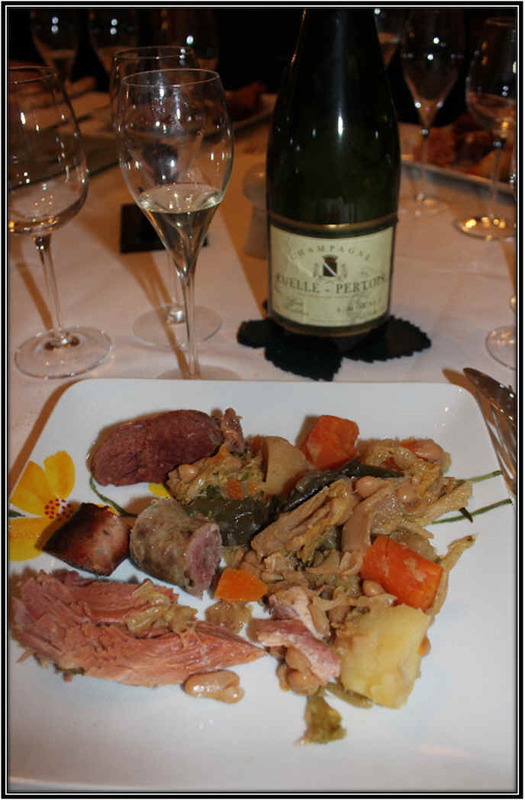 A Champenoise version of Baeckeoffe. This is a stew featuring several kinds of meat, sausages, along with carrots and potatoes. And then, after dessert, a nice little digestif, some Marc de Champagne. Many thanks to the entire Ruelle-Pertois team!